lollygagged until mechanic appeareed, then we went thru this boat — immediate needs involving engine, filters, fuel tank which is fi now and so full of dirty water, which it wasnt until recently.. wow it is bad. no wonder my engine stopped. so we fixing all.~~ emptying tank and ridding boat if kaka diesel and kaka in da diesel… changing fill hose and making current garbage fuel tank finally go away. gonna build new tanks.placing automaticity for bilge pumps so i donot have to keep manually operating those, and changing out bad nonfunctional pumps and perfectiing the engine and fuel system, then onward to electrics and prepping for mast stepping.. whoot–neeed to step mizzen in winter so no rain into boat. will be a huge hole. will be fixing everything under the forward cockpit deck and the dinette and galley counter. ha ha ha ha adding 2 battery boxes for these 6 v golf cart batteries int he hold, none each side, and creating much needed storage space instead of interior battery boxes taking the space. removing fridge and repairing and strengthening the beam under mizzen and making a step for under mizzen so no one has to do this again, and repairing all this stuff i neeed to fix. and ernesto said he can do it all… whooooot. i love independents with a can and did do attitude. i said–ok so you agree to be my boats “slave” after work for 4 yrs? he sed YES.. wow coool. i wanna know how is bilge water getting into my crappy fuel tank????? that will be fixed with the dispo-ing of that craap tank..but i bet i will find a leakage somewhere allowing in bilge water, as that is what this crap in my fuel looks like. we will empty allmy diesel in tank into the 50-60 liter garafones i have carried with me for a while, and recycle it to the fuel station. yuk it is foogly. so, tuesday, we have mechanic in bringing new fuel pump again and whatever is needed to start this work, and begin fuel readjustment so we can use machina… whoot we gonna fly again..and not bandaid surgery, but fix it right. finally. i am glad i am finally getting with those i need to contact fo r fixing this –i am jazzed we starting this misadventure. I am somewhat familiar with the Hardin 45’s, having been an importer for the boats from 1977 until the factory was closed in the mid 1980’s. My wife and I owned a Hardin 45 for about 1 1/2 years in 1980/81 and another for 10 years from 1990 to 2000. Be cautioned not to believe some of the rumors that fly around about the Taiwan boats and roving Chinese families that built parts of different boats as they wandered from yard to yard. Most of the rumors are circulated by people who have never been to Taiwan or built a boat anywhere. I have had boats built in six different yards in Taiwan and China over the past 29 years and have visited dozens more yards in Taiwan and China. I have never seen that phenomenon. Every yard that I have worked in has had its own full time employees ranging from 75 to 200 workers depending on the size of the yard and the volume demand at the time. Work forces did go up and down with business, much like they do here in the USA in any industry. I personally knew Bill Hardin and my wife and I had dinner with him at the Hong Kong Yacht Club in 1981, and then visited Hardin 45, Hull #100 which he kept for himself at the club in Hong Kong harbor. He was born in 1926 and studied naval architecture and engineering at Long Beach City College under Prof. Aldenberg (rated in the top 3 in the US at the time). Bill Hardin worked with fiberglass as early as 1948 and in fiberglass boat building in Japan in 1959. He died in the Vancouver, BC area in the 1990’s. Bill Hardin, Bill Crealock, Ernie Chamberlain and William Garden were the pioneers of Taiwan boat building for the American market. They were the ones who really got the industry rolling in the late 1960’s and 1970’s. Bill Hardin started the CT (Ta Chaio) yard with two Chinese partners in the Taipei area (northern Taiwan) with the original Wm. Garden designed Sea Wolf 40, the Sea Sprite, and the original Garden designed Force 50. He left CT soon after, taking his Sea Wolf molds with him. But his Sea Wolf 40 was copied by many yards and sold as CT41, Island Trader 41, Yankee Clipper 41, Sea Tiger 41, Transworld 41, etc., a very popular traditional ketch. The Force 50 molds were taken to Hudson Boat Company in the Taipei area, but the Force 50 was also copied as an Island Trader 51, Formosa 51, etc. This copying problem is why it was nearly impossible to get a set of drawings from a Taiwan builder. Bill Hardin moved to Kaohsiung, Taiwan (southern end) and built a new factory where labor and overhead costs were lower – around 1970. The company was called Hardin International Co. Ltd. That is where he designed and built the Hardin 45. They built an all fiberglass construction and they were the only builder of the Hardin 45. The boats were imported at first as a Bounty 44. Around 1980, Hardin re-designed the hull from a 6’0″ draft to 5’6″ draft, trimmed down the transom and moved the two aft ports from the hull to the aft cabin trunk, and also extended the boat to 45’2″. Most people do not even notice these changes. To avoid confusion, the Bounty 44’s and Hardin 45’s are all referred to by brokers as Hardin 45’s. As receved in an E mail from another enthusiast. found a resolution to the electrickery box issue…..
which is a compromise between having a wet system in rains and a huge dry box. it has been suggested by a friend who sails a ct 41 that we can make out of re-sourced woods , preferably teakwood, a set up like a box in which my electrickery bus bars and breakers will sit and remain out of path of incoming rainwaters, which seem to be the main cause of breaker failure in my electrics. all i need is santa claus. ok so this has an unknown investment level. we gonna make the box and trim out of my “not gonna die” planks i placed over my cockpit well so i donot fall in by accident. . can find other planks for that. these are perfect for the electrickery. this step will make it easier to organize my electrickery when it is time to connect all the wires that others have disconnected and relocated to no function hell. those include all instruments , wind and navigation, radar, otto von pile it, and navigation lights and radio. whoopee.. we can “unchuck” my boat finally. yes the clown from fla who sabo’d my boat did disconnect items he was told not to touch. unfortunately bad work is a long term affair with interminable and semi predictable consequences, each and all involving more work and more outflow of dollars. and so we work on… at least the idea of this box has lightened my headache developed by the stress of uncertainty.. uncertainty of birds future at sea–cannot sail without specific issues repaired and repaired correctly. as i donot wish flames in my boat, i choose to do this right. as we repair these long standing issues the load of repair is lighter, but pricing aint cheap. i am trying to utilize my resources as i receive them and during their tenure in this marina. 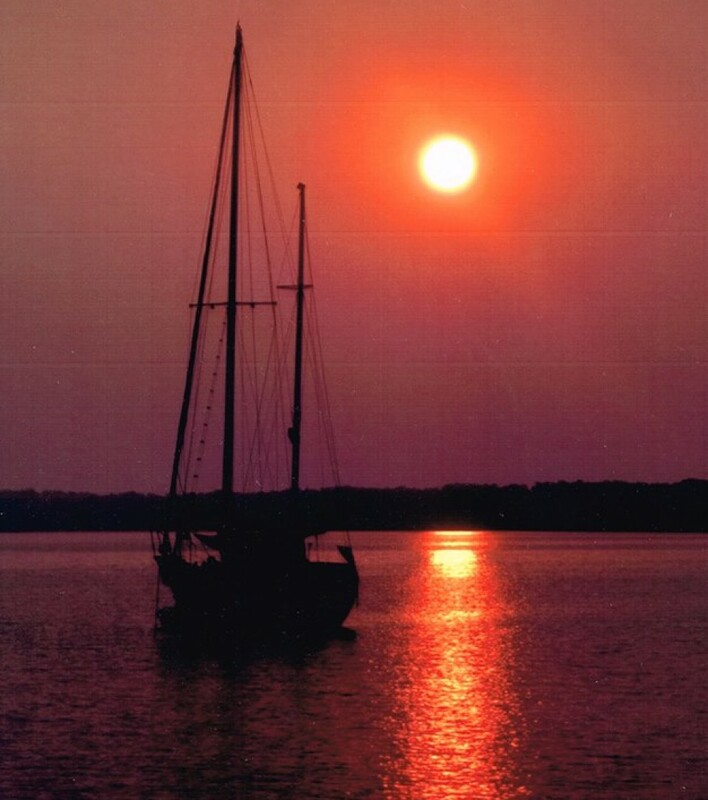 this resource is a transient travelling ct owner who has successfully refit his ct to be a quality voyaging boat. none of us is financially independent, so we pray for santas blessings to assist us in and with this coming work.